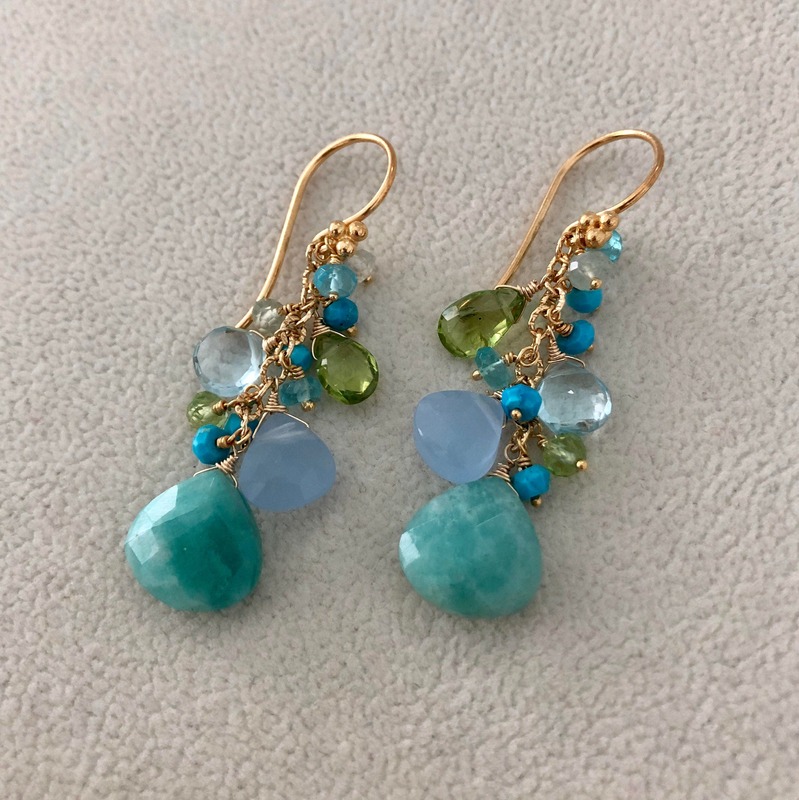 These cluster earrings consist of amazonite, holly blue chalcedony, peridot, sky blue topaz, turquoise, prehnite and apatite. 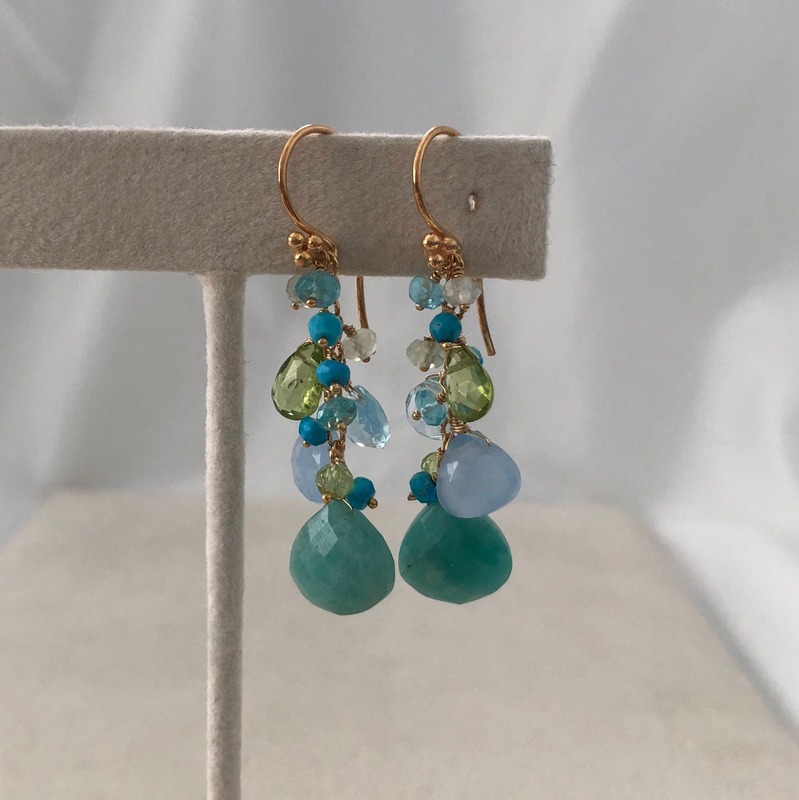 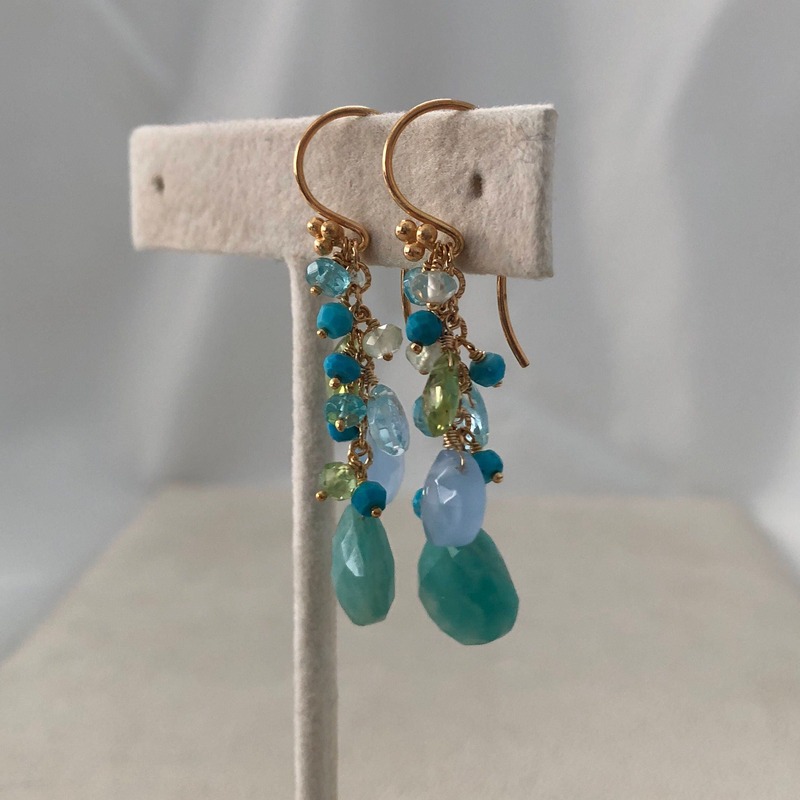 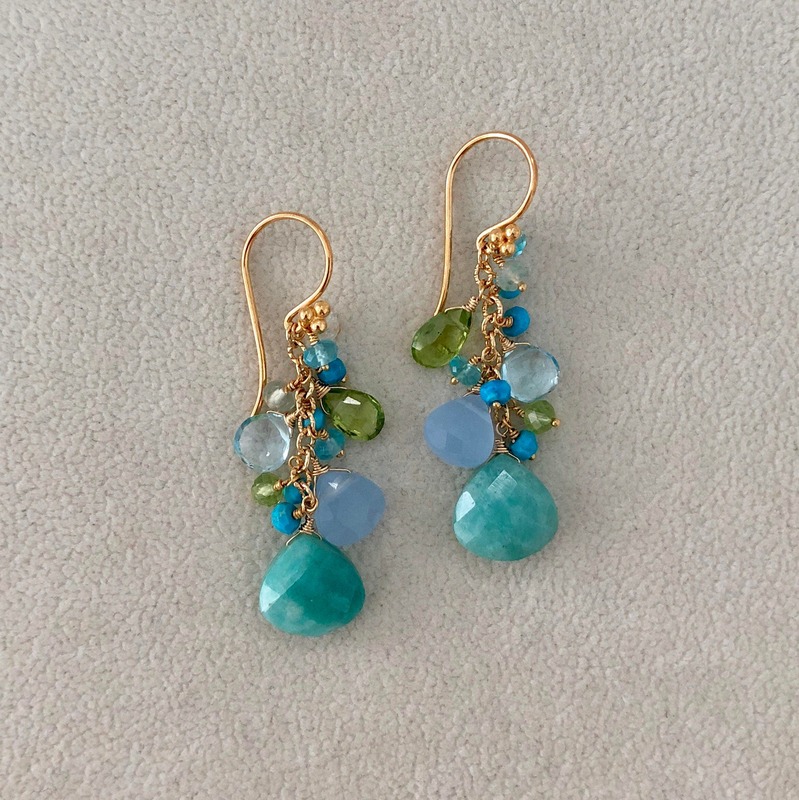 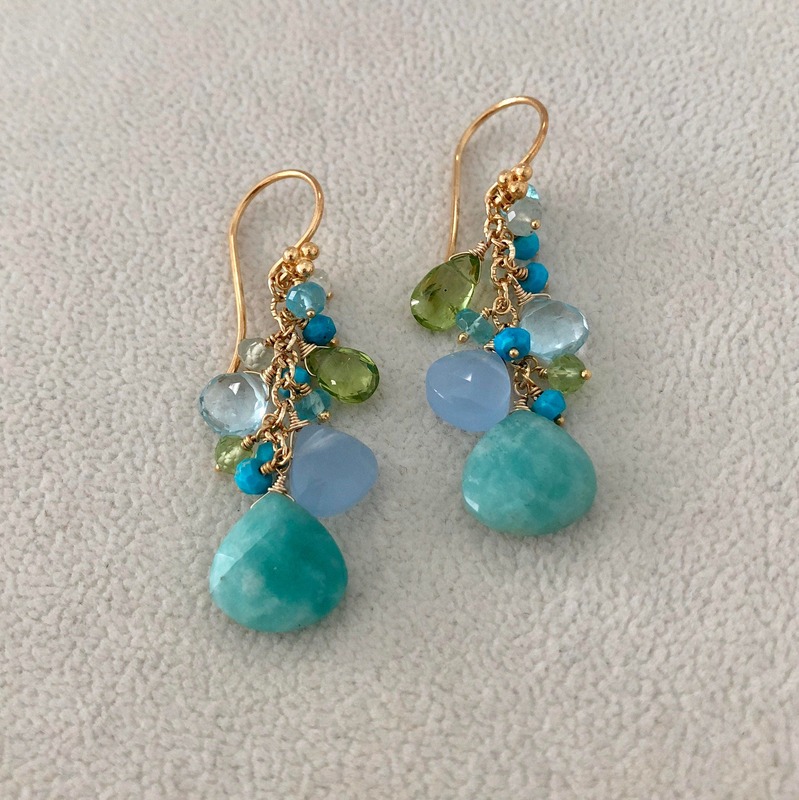 This suite of lovely aqua blue and green gemstones makes a lovely pair of earrings. 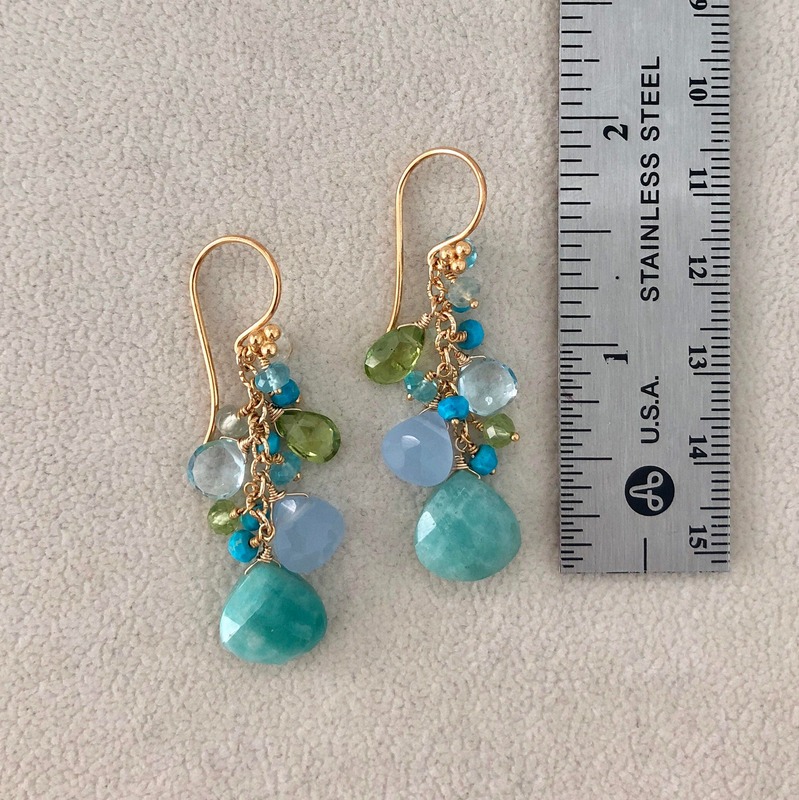 These gemstones have fabulous color and faceting. 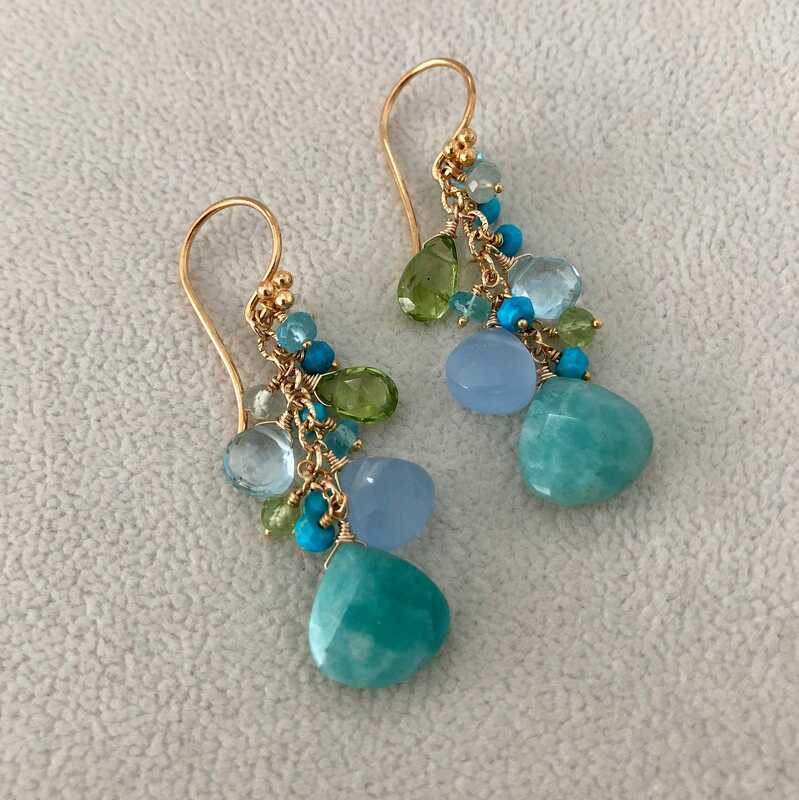 Find more designs at my Etsy shop or www.blueeaseldesigns.com. 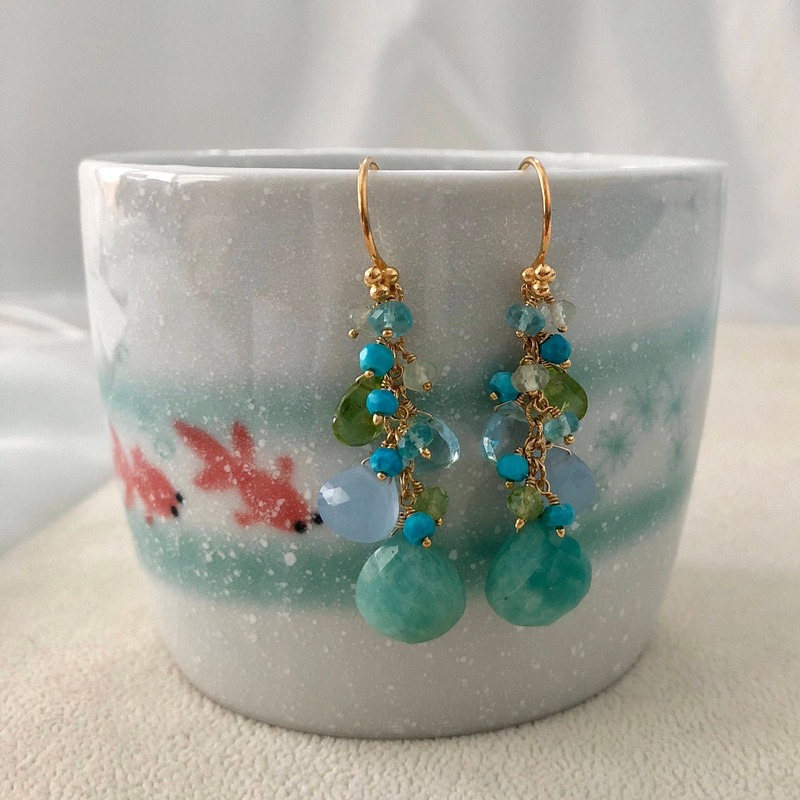 Item ships in an organza silk pouch and a paper jewelry box with Blue Easel Designs logo via USPS Priority Mail with Delivery Confirmation and shipping insurance.